The original Origami tote with a new shape, leather handles and color! 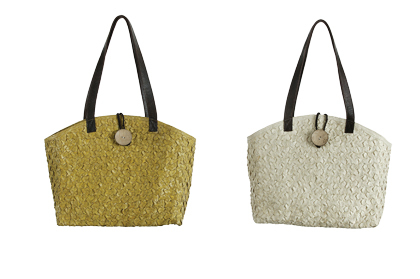 This tote's distinctive weave enlivens palm fiber with texture. Finished simply with a flat coconut button and braided suede loop. Leather handles. Lined interior includes pockets for small items.